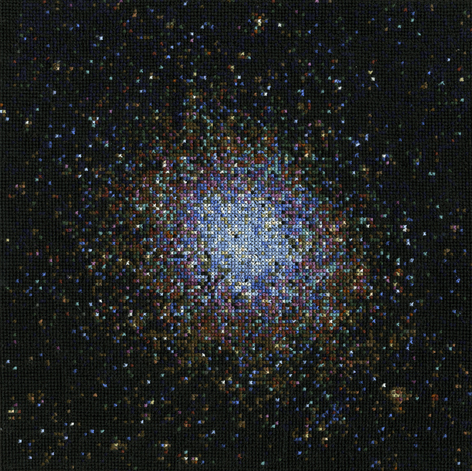 I finished my Omega Centauri globular cluster cross stitch and included it in the Word Problems exhibition at the Else Scherle Gallery at Last Mountain Lake Cultural Centre (scans and patterns of which also ended up at Art Toronto with MKG127 and at TPW’s Photorama). 20 Trees of Canada were acquired by DFAIT and mounted at Canada House in London as part of the refurbished building and art collection, and Andrew Wright and I had a fabulous trip out there. Here’s a link to the collection. 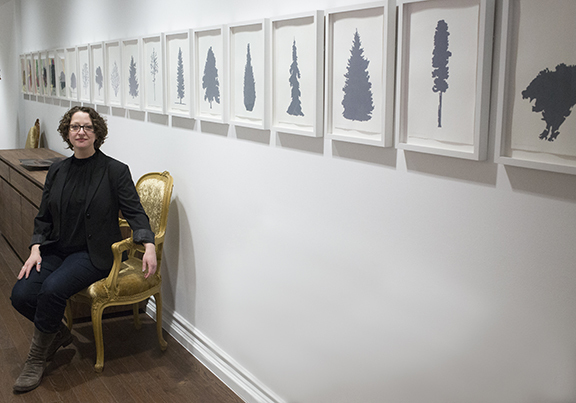 Sitting gracefully by the installation of 20 of my Trees of Canada paintings at the Canadian High Commission in London. The Toronto RASC honoured me with the 2014 Ray Thompson award for Astronomical Imaging for my Turn Left at Orion Summer Marathon, which I did in one night at the CAO last summer! I couldn’t attend the bbq and awards party yesterday but Phil Facetime’d me in and I got to enjoy the last of the rocket launches and the ceremony. Such a nice recognition! I’m soon to head east and have booked a visit around new moon at the CAO – last real chance to get some good Saturn images this year, and now that I have a pc laptop I might be able to get some better data…we will see. 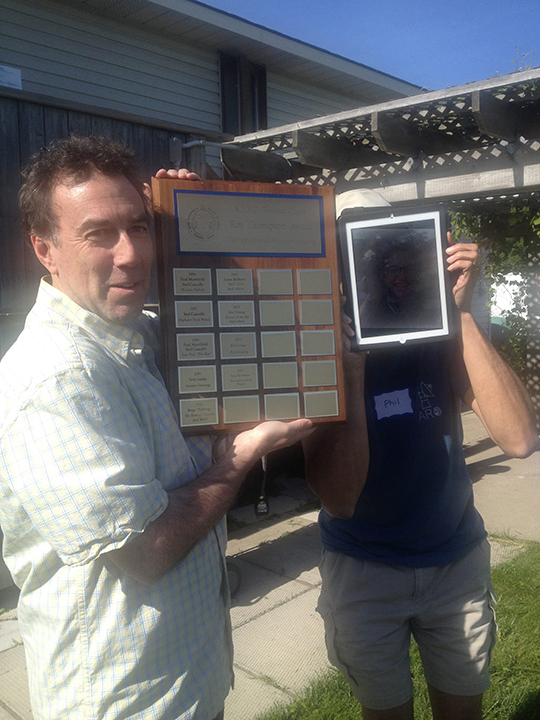 me on the iPad in Regina receiving my award in Blue Mountain ON! Finally, I brought Rob and Ray Peterson out to Regina last month to work on the Modeling Views project with me – I am so grateful to them! We prototyped a large arc and I spend a good deal of time struggling with balancing the reality of all that physical data against making good art. In the end I have managed to abstract some of the celestial motions and objects in a way that I think draws the work away from being merely illustrative or demonstrative, and more about engaging a sensibility that I hope is more affective and lovely in the final installation. 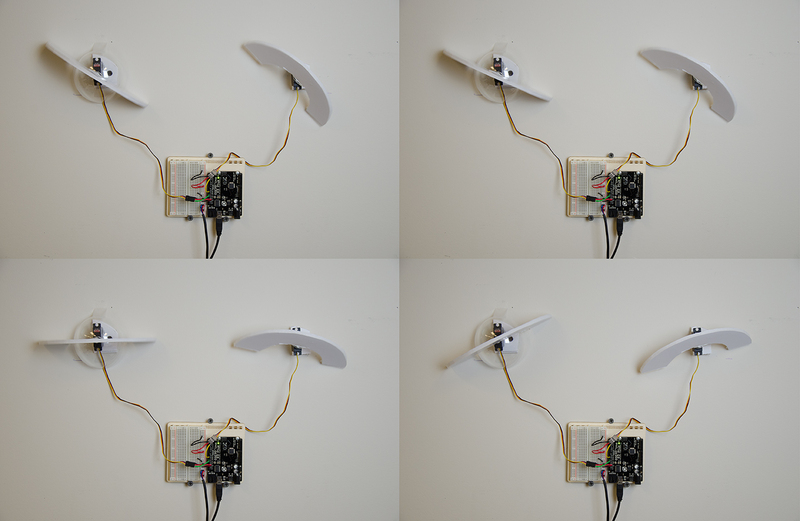 Below, prototype Flappy Rings…which at the moment is saving the entire project. Prototype for what will be 29 flappy rings. This entry was posted in Carr Astronomical Observatory, Exhibitions, Making Art, Research/Creation. Bookmark the permalink.